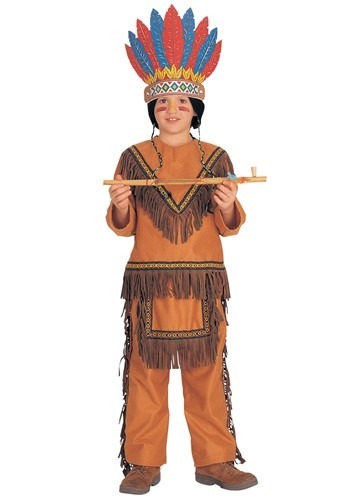 In this Native American inspired costume, your child might feel like he's part of one of those classic movies. The matching shirt and pants are a soft tan material, made to look just like buckskin. There is plenty of fringe along the shirt collar and hem and along the sides of the pants and front flap. The fit is loose so your child will move freely in his faux buckskin suit. The headpiece completes the theme.